The GCT is happy to be a sponsor in the Connecting Communities 2015 project coming to Groton, Sunday May 31. This day long event is designed to introduce newcomers to Groton and educate all of us on the biodiversity of our landscape. Titled “The Gift of the Glaciers”, the Groton event features day-long activities, with something for everyone to enjoy. About one-third of Groton is public open space with a network of over 110 miles of trails. GCT trustee Bob Pine delivers the keynote presentation along with Michael Roberts, outlining Groton’s unique geology, ecology, and human history. You will learn about geologic features left behind by the glaciers that can be seen as you hike and bike around Groton. 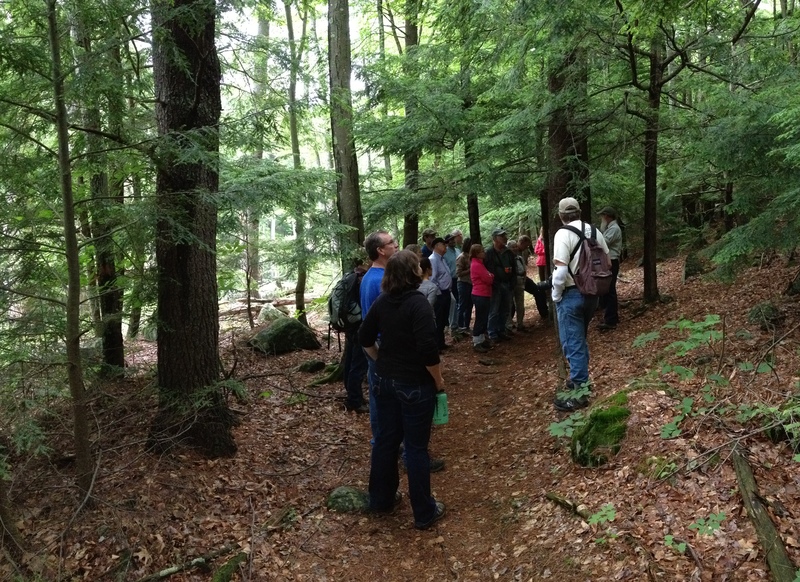 You will also learn how the glacial remnants and resulting biodiversity of Groton affected its use by the historic humans who lived in the area as well as the post-settlement citizens of Groton. Town Hall (173 Main St.), 2nd floor meeting room. The events are free, although pre-registration is required for Geology Bus Tour. Other questions, please contact: Paul Funch, pgfunch@verizon.net.